Whether we’re designing a custom gift or putting together a piece from our Pre-Designed Collection, we always think of packaging first! 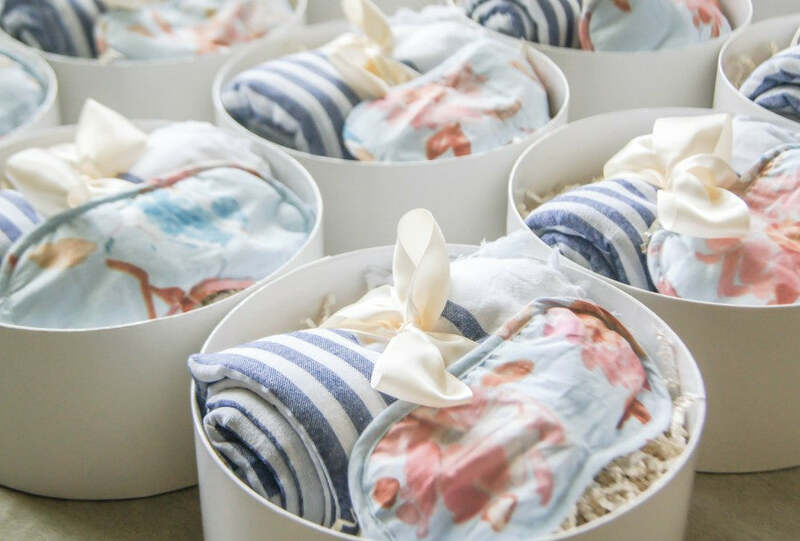 We frequently turn to our tried and true seagrass baskets, crates, totes, and hatboxes because each will undoubtedly be used again and again by your bridal party long after your wedding is over. They key is wrapping up the contents in a piece the recipient can’t imagine tossing aside! 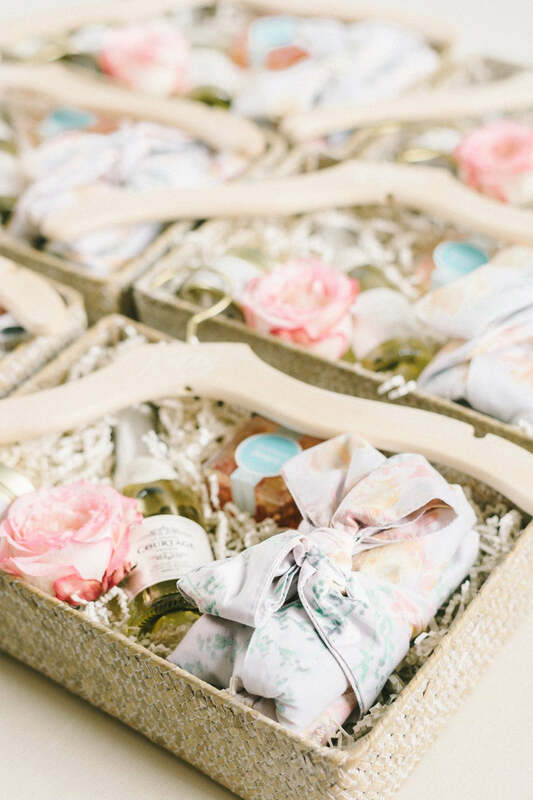 Mirroring the color palette of the wedding is key when designing any wedding gift, and it’s especially important when gifting your bridesmaids. This theory is perfect to use when asking your bridesmaids to be in your wedding because it acts as a sneak peek into what they can expect. 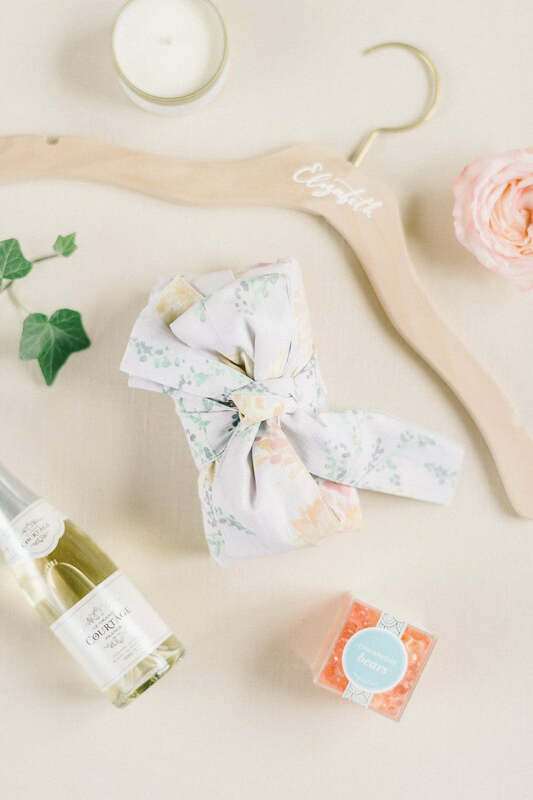 Not to mention, if you’re presenting your gifts just before your wedding day, your girlfriends will love that each piece coordinates with their bridesmaid dresses! Your getting-ready photos are some of the ones you will all treasure for years to come. With this in mind, it’s always so fun when everyone is wearing a coordinating piece they can also wear at home post-fete. Plum Pretty Sugar robes are on of our go-to pieces because the colors and patterns are timeless and lovely. 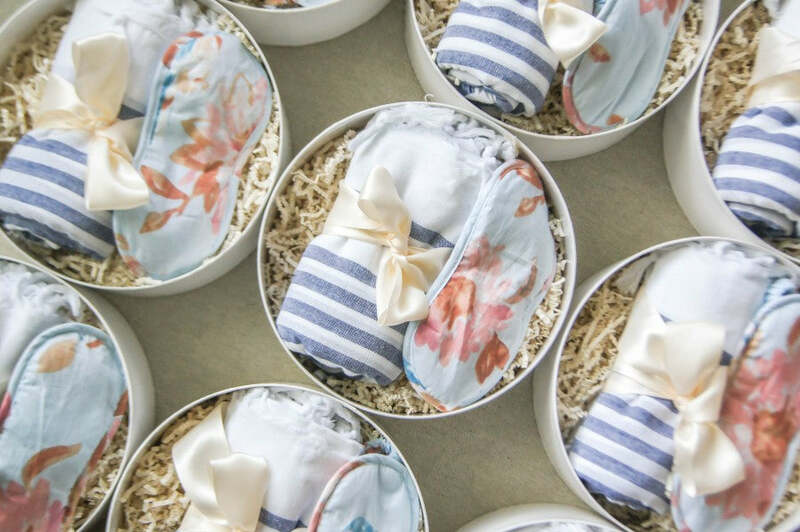 Although many of the pieces your squad will receive in their custom bridesmaid gifts can be reused, there’s something so special about a lasting keepsake. We love including beautiful Turkish-T towels! These are perfect as a new luxury item in your bathroom, but we also love bringing them along to picnics and the beach year round. 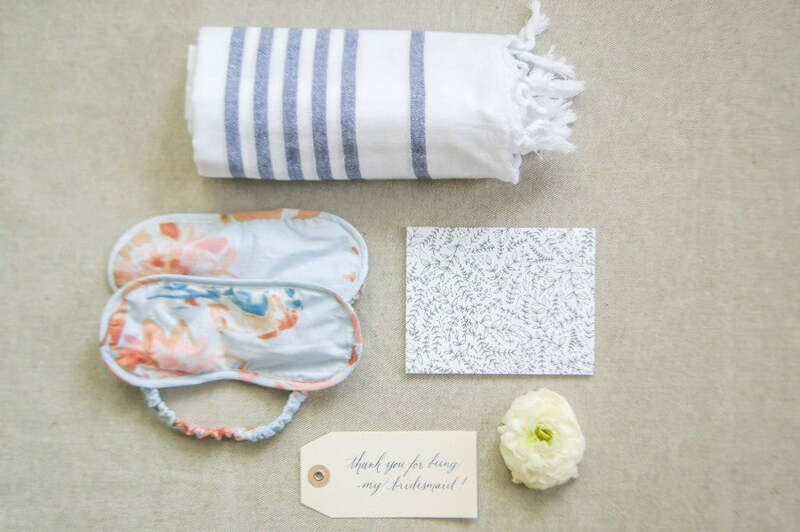 Getting ready for your wedding should feel like a day at the spa for everyone! Hair and makeup with your best friends – what could be better? Luxurious creams always provide a wonderful hint at what to expect, and we also adore Plum Pretty Sugar’s sleep masks. There are few things more important before an exciting day than a great night’s rest. Every bridesmaid loves seeing her name in print so make sure to include a personalized piece! 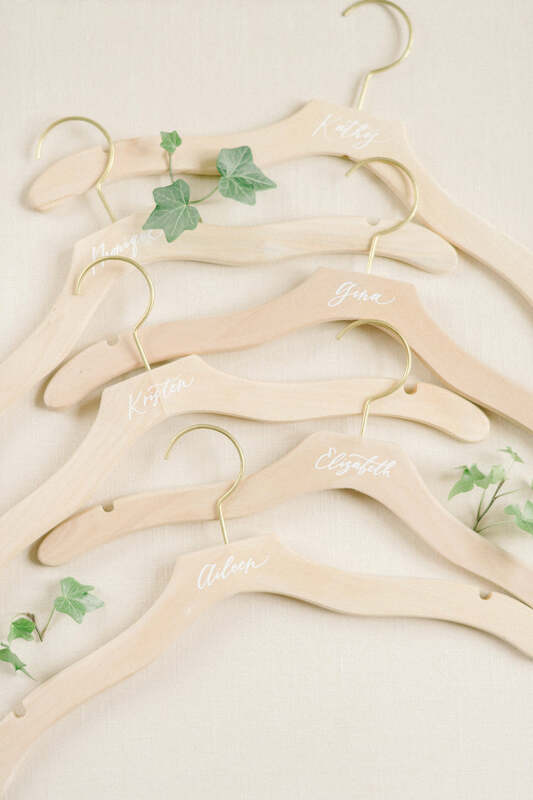 We love turning to calligraphers to carefully write each bridesmaids’ name on gift tags and hangers. Perfect to use for wedding dress photos and for her favorite piece at home. 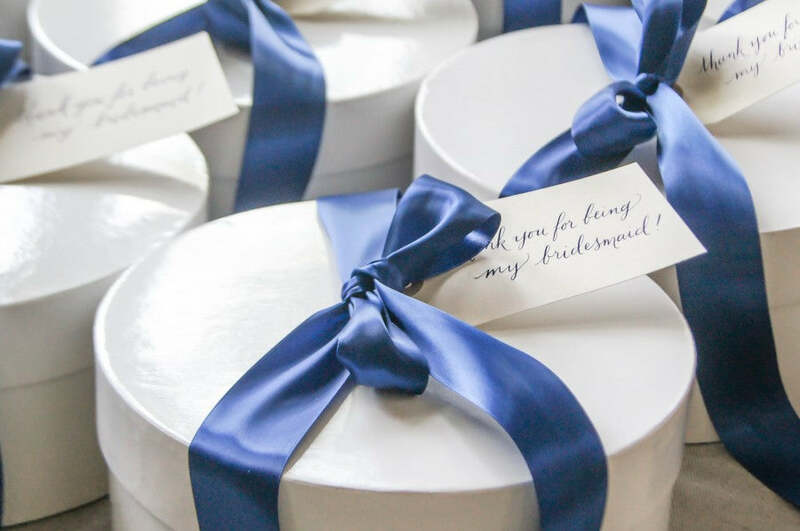 With each gift we design, we always recommend including a salty snack or something sweet that can only be found in the area surrounding your wedding venue. Locals will think it’s fun to discover something they know and love well, and visitors will get to try something you adore. 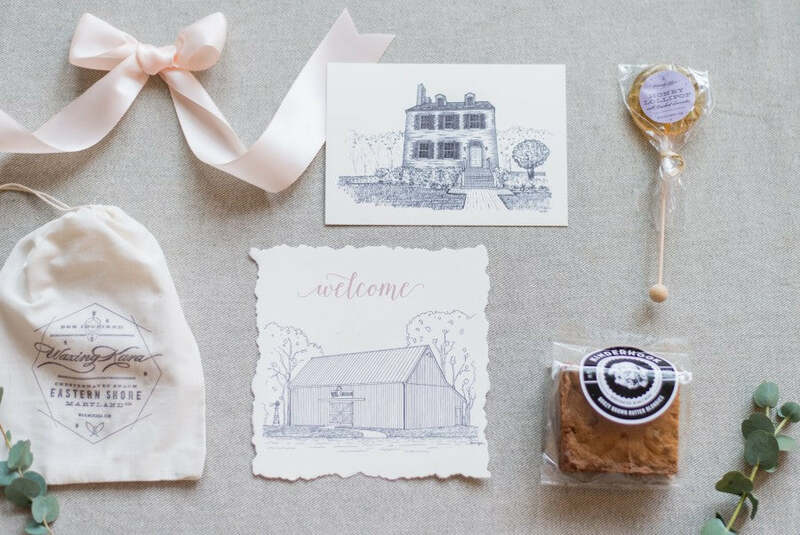 Another fun piece to use to honor your wedding’s location is a custom sketch of your venue! 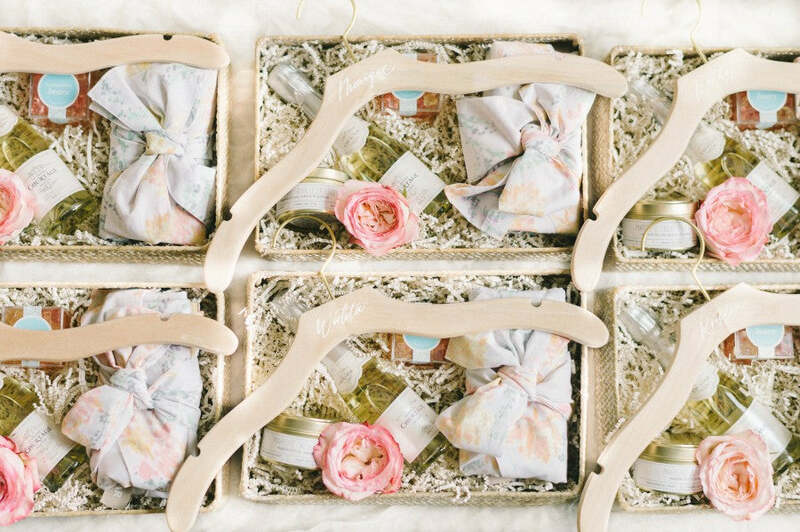 Feeling overwhelmed and need us to take your bridal party gifts completely off your hands? Check out our online shop for ready-made bridesmaid gift designs or reach out for custom gift design service at hello@marigoldgrey.com. We'd love to hear from you!